Racers have always been inventive and willing to fabri­cate the parts they need if nothing is available. 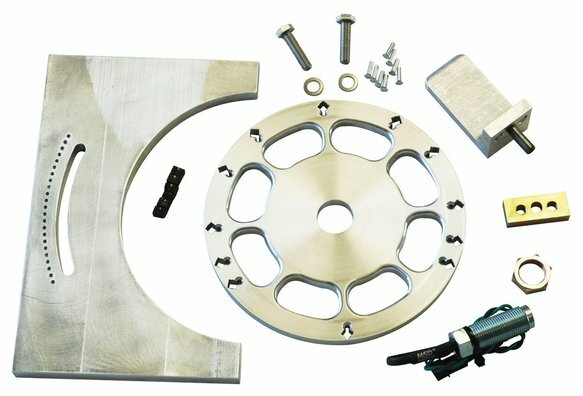 Building a crank trigger system is not an easy task but there has been an increasing number of unique front hub systems and distributorless ignitions that require one. 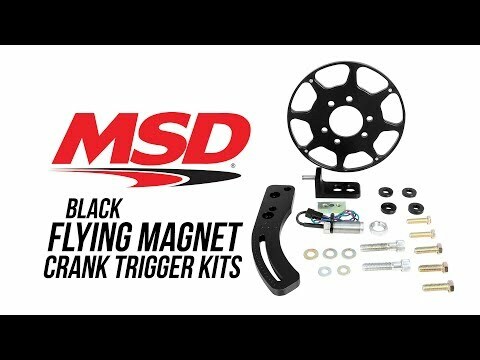 MSD's Universal Flying Magnet Crank Trigger Kit will give you a head start in fabbing a custom kit for your application. This kit is supplied with everything you'll need to get you going in the right direction. A 7" billet aluminum wheel is supplied that has magnet positions for 4, 6, 8, 10 or even 12-cylinder engines. An oversized bracket arm is supplied that can be cut down to your specs and an "L" shaped holder is also supplied that can be machined for the 3/4" or 3/8" pick-up.